I’m not, generally, a fan of gangster films. I don’t hold up The Godfather and Goodfellas as pinnacles of cinema, mainly because I don’t generally like bad people. But for some reason, The Long Good Friday is a film I’ve always liked. 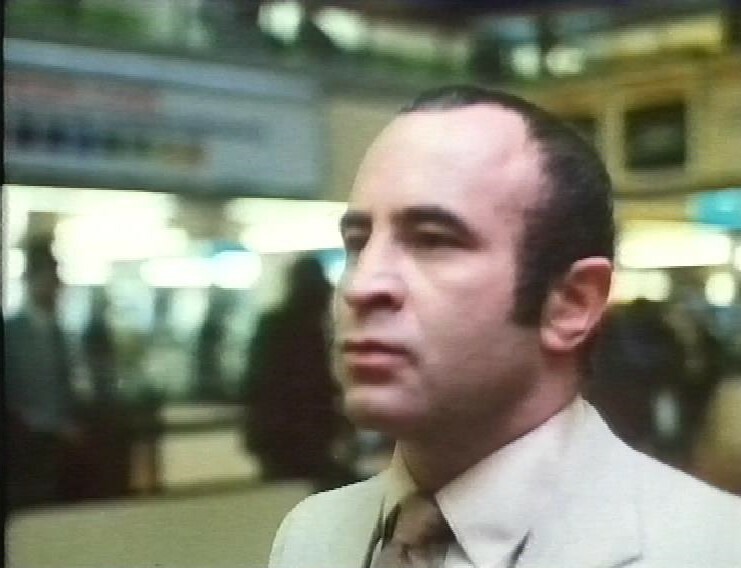 Bob Hoskins stars as the London Gangster Harold Shand, trying to grow his ‘business’ by working with American gangsters. I should mention, at this point, how great Francis Monkman’s score is, very poppy and synthy, but unmistakeable. 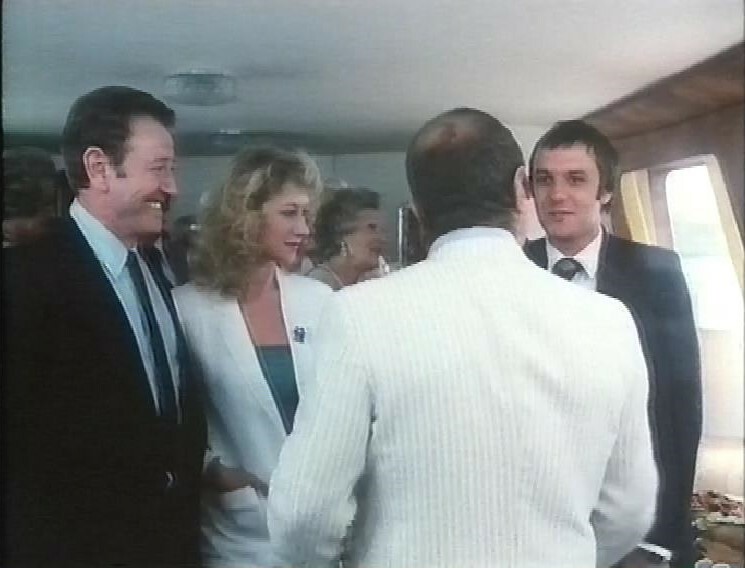 The cast is peppered with familiar faces, often in tiny roles, but let’s start with co-star Helen Mirren, as Harold’s girlfriend. Brilliant as always, and her second appearance on this blog this week. 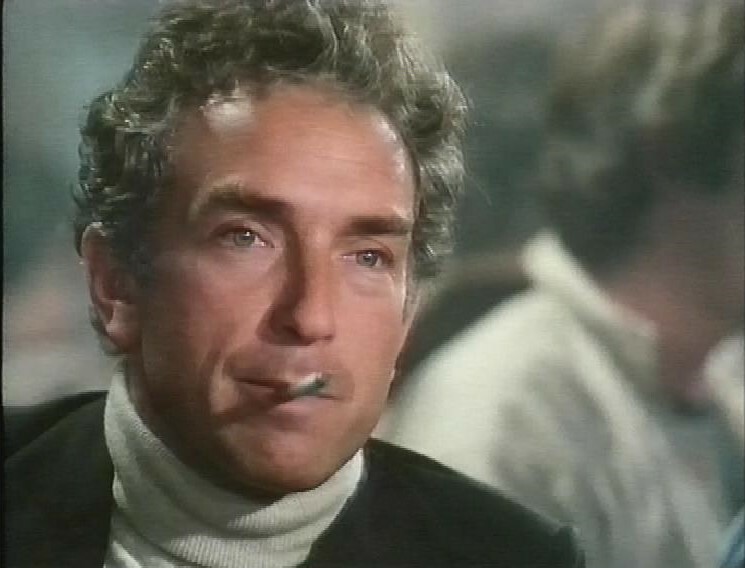 Some much smaller roles at the start, starting with Paul Freeman, Belloq himself. 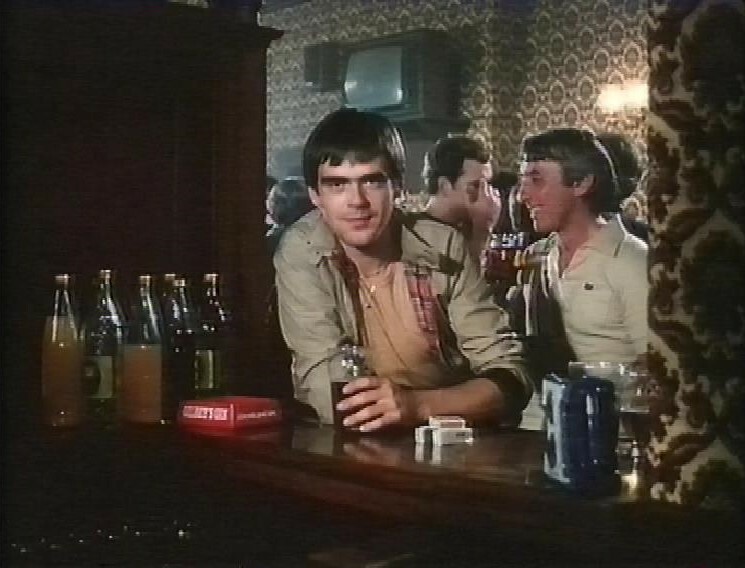 Kevin McNally, who has no lines. Freeman picks him up in a pub, but he’s got by other bad guys almost immediately. Freeman doesn’t last much longer, stabbed in a swimming pool by young Pierce Brosnan in his first screen role. 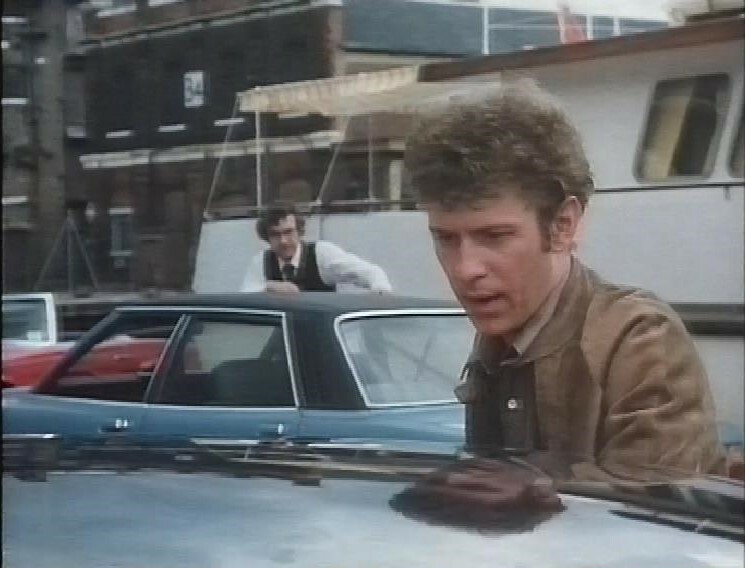 Derek Thompson, Charlie off of Casualty, plays one of Harold’s men. Karl Howman has a small role as a policeman. Harold’s car and driver get blown up outside the church as his mother is attending Good Friday mass. “You don’t go crucifying people outside a church, not on Good Friday.” This explosion shot is really well done. Take a look at it and see if you can work out how it’s done. I think I know. It’s not a simple cut – there is a cut to the top shot of the car fully exploding, but the explosion starts in the same shot as the driver getting into the car and closing the door. I can’t see any obvious signs of a simple edit to an empty car – although that could still be the case – so assuming the explosion starts in the same shot, I suspect that the explosions and the car itself were rigged so that there’s a lot of blast and noise, but the driver’s seat is somehow insulated from the blast. Effects explosions can be very fiery without necessarily producing the shock that a real explosion has, so this might have been possible. I’d love to know for sure, though. Here’s Paul Barber as a rival gangster who Harold leans on to find out who’s been killing his men. 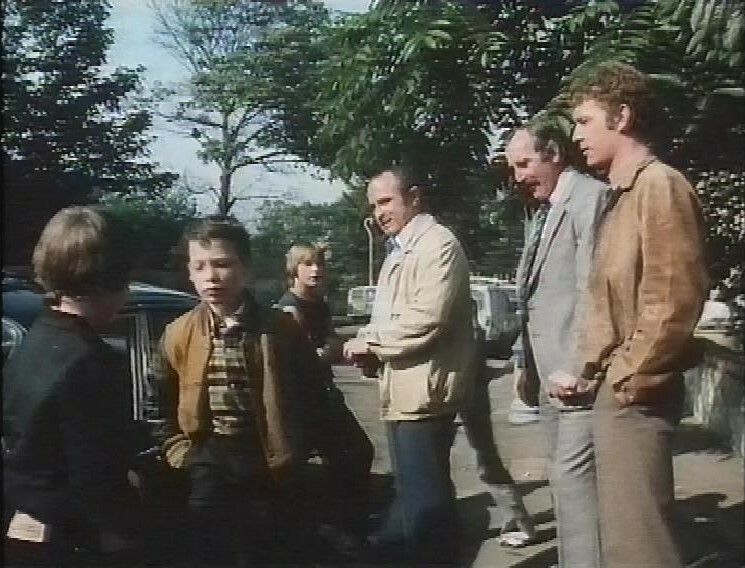 The young kid in brown is Dexter Fletcher. 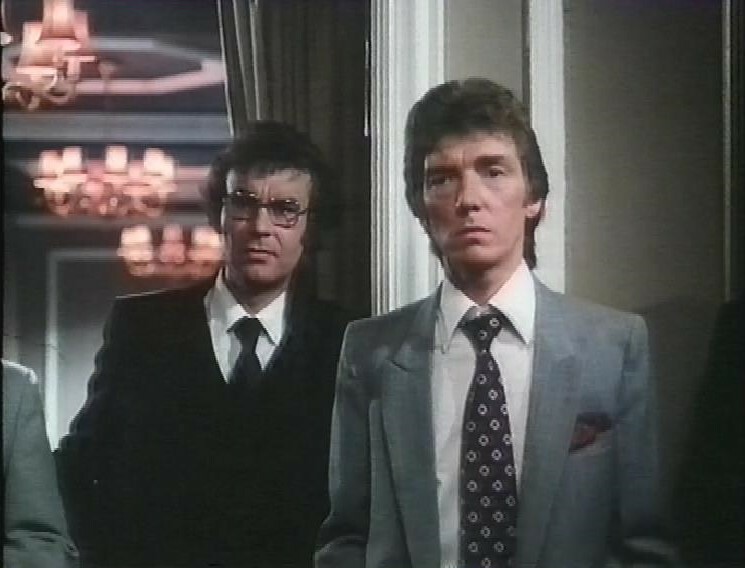 Alan Ford plays another gangster. 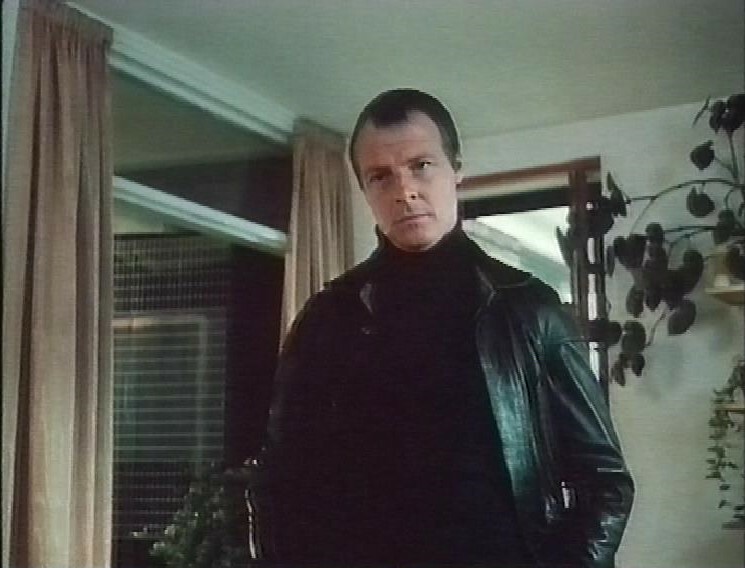 Another is played by Brian Hall, Terry the Chef from Fawlty Towers. This really is a tremendous film, marred slightly by the occasional, rather vile casual racism, but generally still works. You do, for some of the film, feel sorry for Harold, as he’s hit with a vendetta he didn’t cause and knew nothing about, but when he tries to solve the problem with just more violence, in the end you’re not surprised when the end comes. 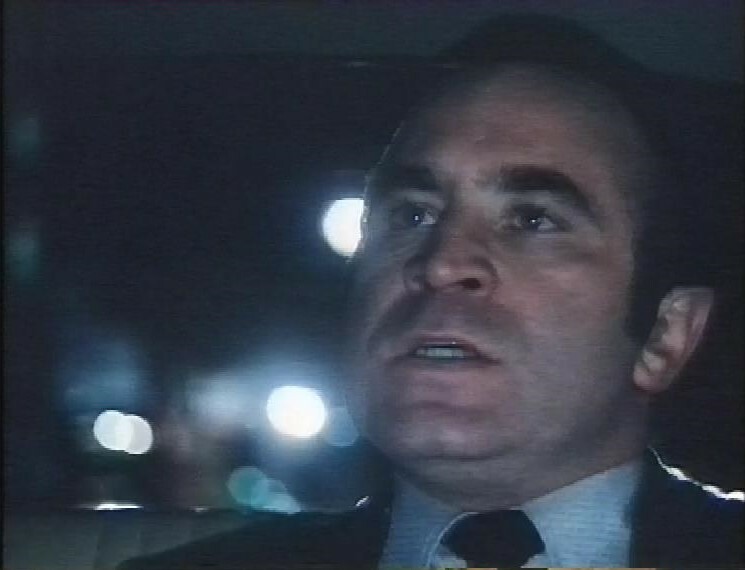 And this has one of the greatest final shots in film history, over a minute and a half of Bob Hoskins in the back of a car, no dialogue, just his face to show him coming to terms with his situation. That old cliche about method actors, and “I can say all that with just a look”? Here’s Hoskins doing exactly that. The tape ends just after the film. There’s a very strange advert here that looks like a teaser ad for something, but I don’t ever see the payoff. Does it ring any bells with anyone? “Culture, genius, sophistication! Bit more than an ‘ot dog, narny mean?” Brilliant Hoskins performance when he was at the top of his game. That slash across the arse is a top wince moment. Re: the ad, “Thank Crunchie it’s Friday”, maybe? Crunchie! That’s a very likely answer. Bob Hoskins was always great value, and this is certainly a film worth the hype. 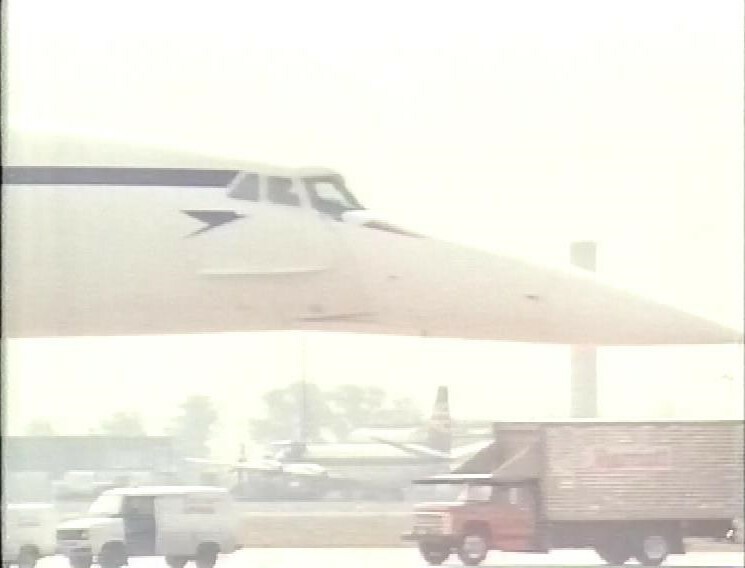 I was holiday up here and remember seeing ITV trailing its TV premiere… but annoyingly Thames went on strike! so I missed it! Maybe you like this one because the bad guys/main characters ultimately lose? Never seen it. Clearly should do. I was always a big Bob Hoskins fan. I remember seeing the opening of The Long Good Friday on holiday in Wales in August 1988 and thought Paul Freeman and Kevin McNally’s characters were old mates seeing how they were getting “close” with each other at the table. Mind you, I was only 9. Recently bought the special edition blu-ray.